A carpet of pink along the monuments and an occasional whimsical pedal shower from the light breeze. 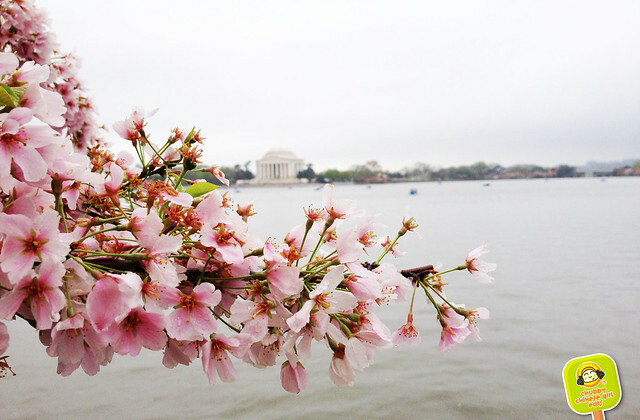 Cherry blossom season is my favorite reason to visit D.C. It’s always so purty in pink, specially this year, since it was the 100th year celebration of this beautiful gift from Japan. It has been a warm winter, so everything bloomed before April. We were lucky to catch the peak/late bloom during the last weekend of March, while we snatched Gilt’s ROGUE 24 deal, $100 for a progression of 16 courses.